The power in their voices, so perfectly matched an intertwining aroud each other was a revelation. 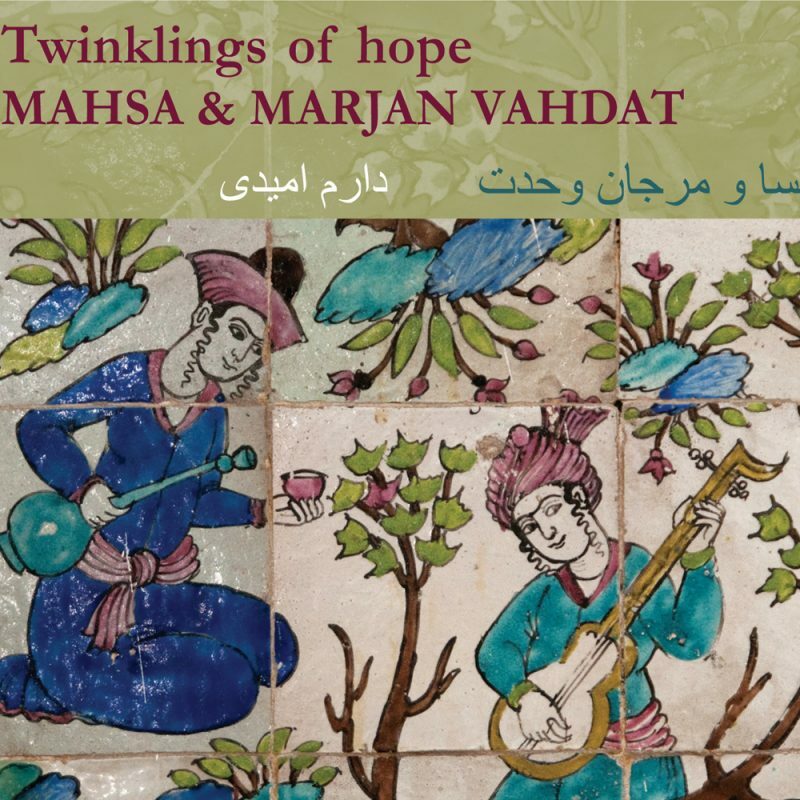 Twinklings of Hope is the Vahdat sisters' finest album to date; it is beautifully sung, played, recorded...and blessedly-free of ‘world music’ clichés, ‘programmers’ at al. The end result is a classical approach to Persian sensibilities. Winner of "12th independent music awards"! The Iranian singing sisters Marjan and Mahsa Vahdat are denied a stage in their homeland. The regime in Iran has since the Islamic revolution in 1979 banned female vocal performance. The two sisters refuse to quit singing and they are in the highest range of quality among 70 million people. Their stages are in Europe and America, Asia and other places in the Middle East where a growing amount of people admire their art. These days the Norwegian label KKV releases their new album: “Daram Omidi – Twinklings of Hope”. Even if it does not get a formal and official release in Iran, it will find its way across continents to the many people who love the voices of Mahsa and Marjan and their music. On the CD their Persian ensemble accompany the two remarkable voices. These are Atabak Elyasi (setar), Pasha Hanjani (ney flute) and Ali Rahimi (daf, Persian drum). The album is recorded and produced by Erik Hillestad in an old harem in a beautiful old mansion in Tehran.